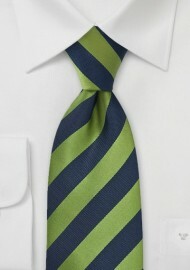 Get the ultimate chic menswear look with this exclusively designed and crafted Navy and Fern Green Tie in XL Length. The stunning shades of fern and navy elevate an everyday look to something authentically spectacular. 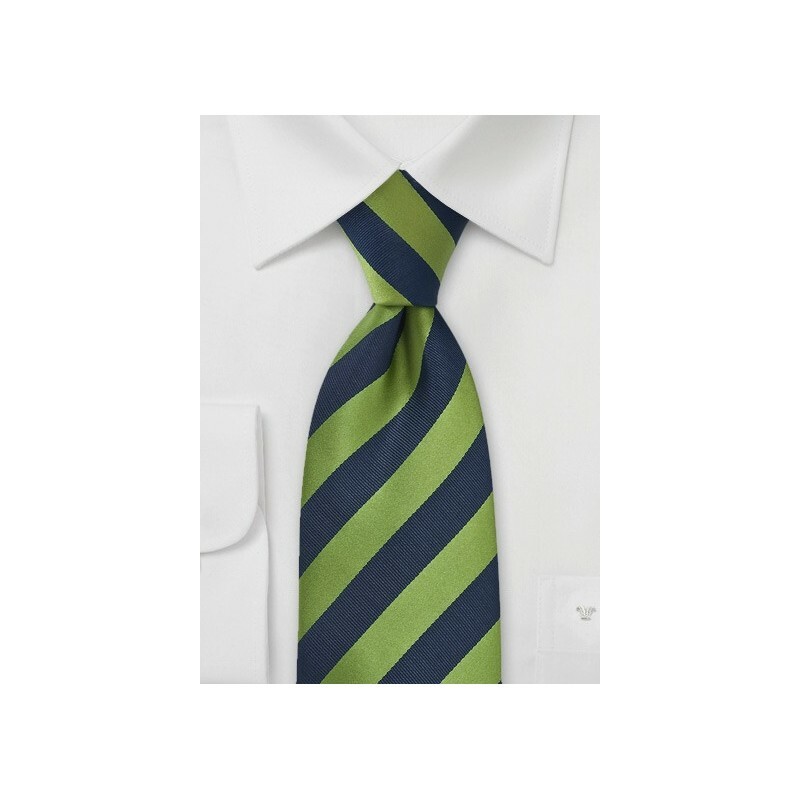 Let this necktie steal the show by teaming it up with a collared bright white shirt, a lightweight blue suit and a punchy fern green pocket square. Expertly crafted from a high quality microfiber. Extra Long Length: 63.5", Width: 3.25"